Asturias is a region of splendid beaches, unspoiled nature, dotted with rich architectural, industrial and cultural heritage. Apart from the region’s uncrowned beaches, there are lively inland cities and areas of great natural beauty. 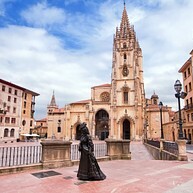 There are several major destinations in the Asturias region, including the cities of Oviedo, Gijon and Aviles, along with the scenic village of Ribadesella. Our guide includes tips and information concerning these four key Asturias locations. Opening hours: Shops are usually open Mon-Fri 9am-2pm and 5pm-8pm, Sat from 9am-2pm and closed on Sundays. Shopping malls are open daily from 10am-9pm, except on Sundays. Most restaurants are open for lunch from 10am-4pm and for dinner from 9pm-midnight. Open winter Mon-Sat 9.30am-6pm. Summer Mon-Sun 9.30am-7pm. 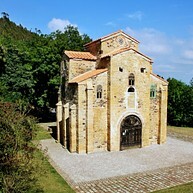 Relics of earlier eras are scattered in and around the cities, including many pre-Romanesque churches and other buildings dating back to the 8th and the 10th centuries, when Asturias was one of the few regions of Christian Spain to remain unconquered by the Moors, who occupied most parts of the Iberian Peninsula. The region was a cradle of prehistoric civilisation, and remarkable cave paintings may be seen at the Cueva de Tito Bustillo in Ribadesella. Almost one-third of the region has been designated as a region of outstanding natural beauty, and four nature reserves have been given UNESCO Biosphere status. Oviedo’s Cathedral combines Gothic, Baroque and Renaissance elements. Its 15th-century spire looms over a medieval basilica built by the first prince of Asturias. The cathedral as a whole was finally completed in the 16th century, after more than 250 years of construction work. The main altarpiece, depicting the life of Christ, is in Flemish Gothic style. The cloister is home to the Diocesan Museum, with a number of important archaeological relics. This is one of Oviedo’s oldest buildings, founded in 848 AD and only parts of the original medieval building have survived. Nevertheless, San Miguel de Lillo is regarded as an important part of the region’s Christian heritage and has been granted World Heritage status. The oldest parts of the building include the portico, the choir entrance and the part of the three naves. During the 9th century this was the largest church in Spain and although now dwarfed by later and greater buildings, it remains of great significance in the history of Spanish religious architecture. The church is well worth a visit, especially for its magnificent array of gorgeously coloured murals. This magnificent 19th-century building opened in 1892 and is regarded as an emblematic of the city. 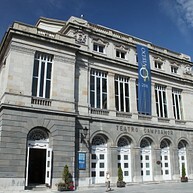 Teatro Campoamor is also the venue for the annual Prince of Asturias prize ceremony and for the city’s annual opera season and the Zarzuela music festival. The theatre’s elegant interior was influenced by the Teatro de la Comedia in Madrid and is opulently decorated in scarlet, gold and red. On the first floor you can find the statue of Ramón de Campoamor, the Asturian poet after whom the theatre is named. Covadonga is the gateway to the Parque Nacional de los Picos de Europa, the largest national park in Western Europe. 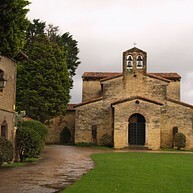 The village’s main landmark is the 19th-century mock-Romanesque cathedral. Outside stands a statue of Pelayo, the Visigoth prince who defeated an army of Moors here in 722 AD. Museo de Bellas Artes de Asturias is claimed to be one of the top ten fine arts museums of Spain. The museum opened in 1980 and holds various collections including paintings of Dalí and Picasso. This little market square in the middle of the city is very popular, both among tourists and the locals. Here you can find many places serving great food surrounded by pretty buildings and beautiful flowers. 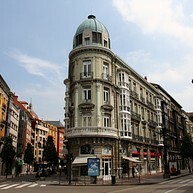 When walking around the city of Oviedo you will most certainly run into a few sculptures. 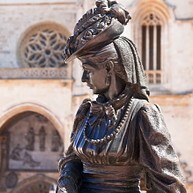 The sculptures are placed around the city centre and are claimed to give Oviedo a sense of humour. 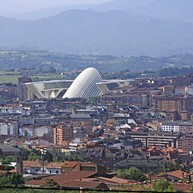 For the best view of Oviedo, you should go to the top of Monte Naranco. The view from here is truly breath taking, especially during evenings. You can reach the top by walking, biking or driving. Right in the middle of the city you will find Calle Uria. This is the main shopping street in Oviedo, a great place for strolling in beautiful surroundings, and of course for shopping. 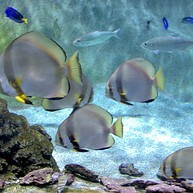 In Gijón you can find Acuario de Gijon, a great place for some family fun. If you are interested in sea life, you will certainly enjoy walking around at this aquarium looking at all different species. This is an international cultural centre designed by the Brazilian architect Oscar Niemeyer. Centro Niemeyer is his first work in Spain and it is well visited by relevant personalities of the cultural world such as Nobel prize-winner Woyle Soyinka and famous actors like Kevin Spacey and Brad Pitt. Woody Allen has also included bits of it in his first film in Spain, Vicky Cristina Barcelona from 2008. For surfing, people watching and beach life you should visit Playa de San Lorenzo in Gijon. This beautiful beach invites you to many activities, or why not just sit back and have a coffee watching the world go by. 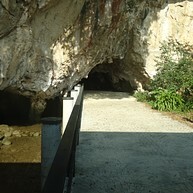 The Tito Bustillo Cave is on the selected list of World Heritage and is one of the most important Palaeolithic art sites. Make sure to wear warm clothes when visiting the cave. It is also advisable to book your visit in advance. The Jardin Botanico is a botanical garden and a museum specialising in the flora from the Atlantic territories. 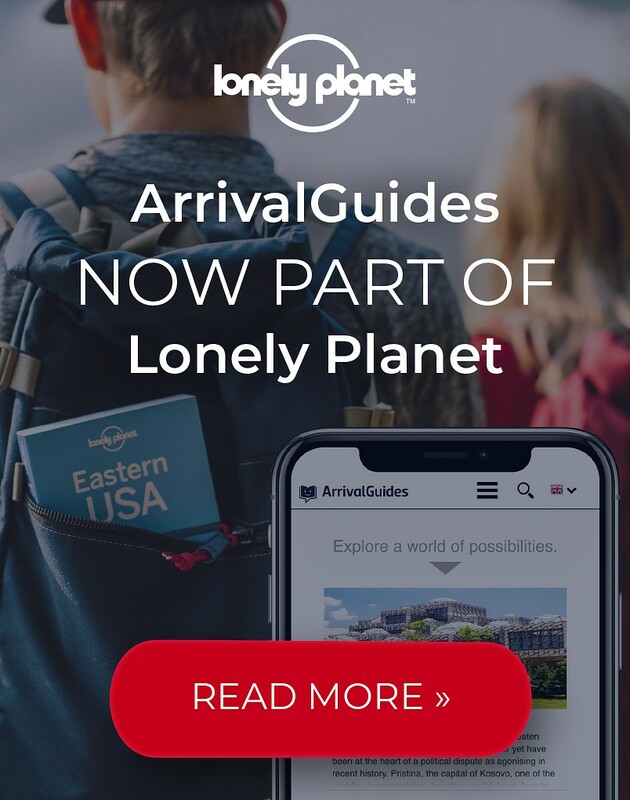 Here you can stroll around in a beautiful park with over 2,200 species and 30,000 plants. To the west of Aviles stretches the Costa Verde, a long stretch of rugged cliffs, sandy bays and deep river estuaries. Cudillero, the closest village to the airport, has a good selection of places to eat and drink, all crammed together around a small fishing harbour. 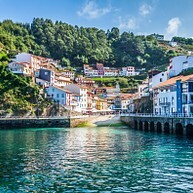 Further west, Luarca is another tranquil and attractive fishing port.